Inspired by the glamour of the1940s, this beautiful side tiara is sensational. The perfect headpiece for a touch of classic 1940s Starlet style, Heirloom of Charm Side Tiara is simply sensational. 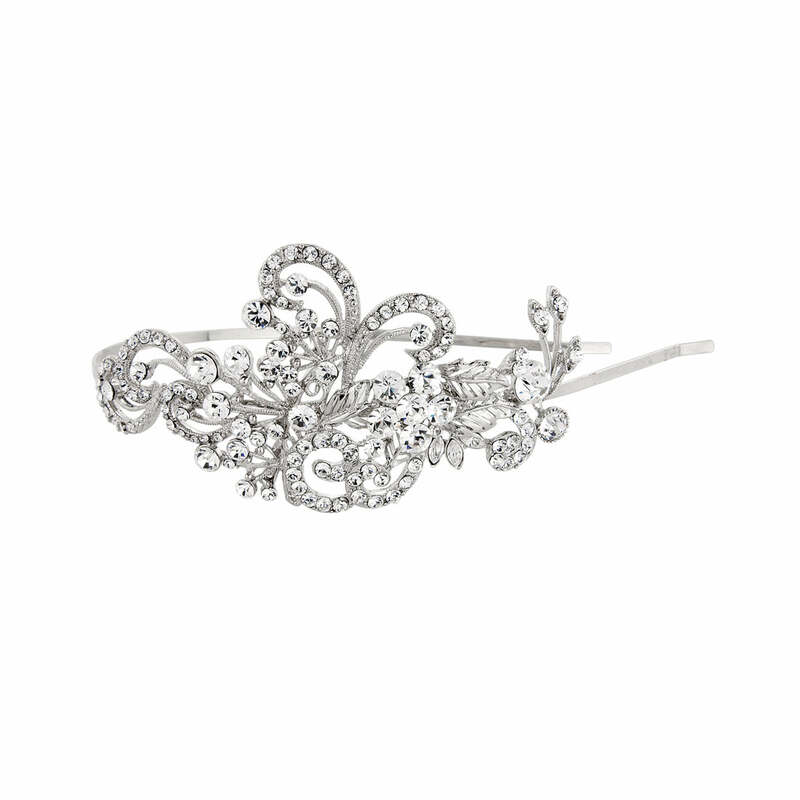 Featuring a statement side adornment of sparkling Austrian crystal encrusted scrolls, flowers and leaves set on a single silver headband, you could just imagine this 'piece' adorning the immaculate tresses of a '40s beauty in an old black and white movie.